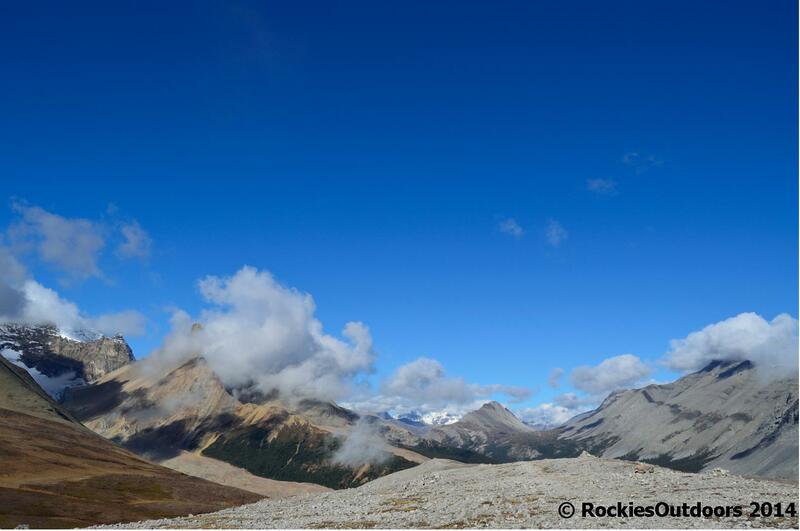 Parker Ridge, south of the Icefields Centre in Jasper National Park is an excellent hike. 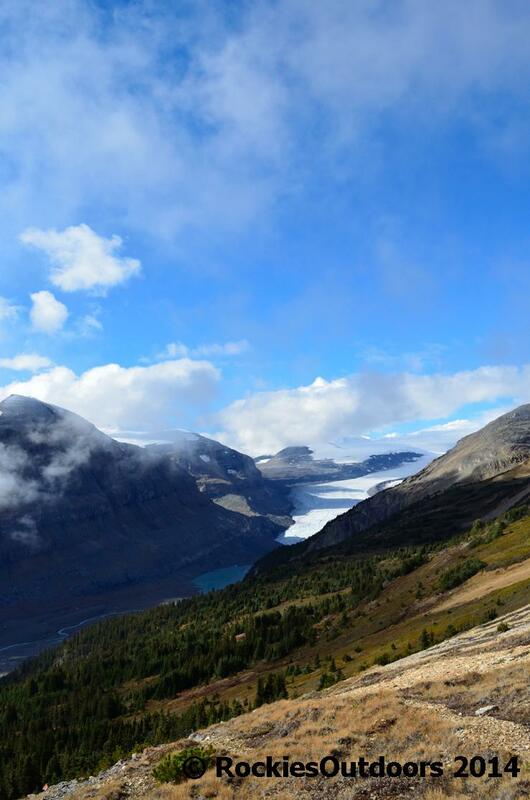 It doesn’t take too long to reach the top of the ridge and there’s an fascinating view of the Saskatchewan Glacier. 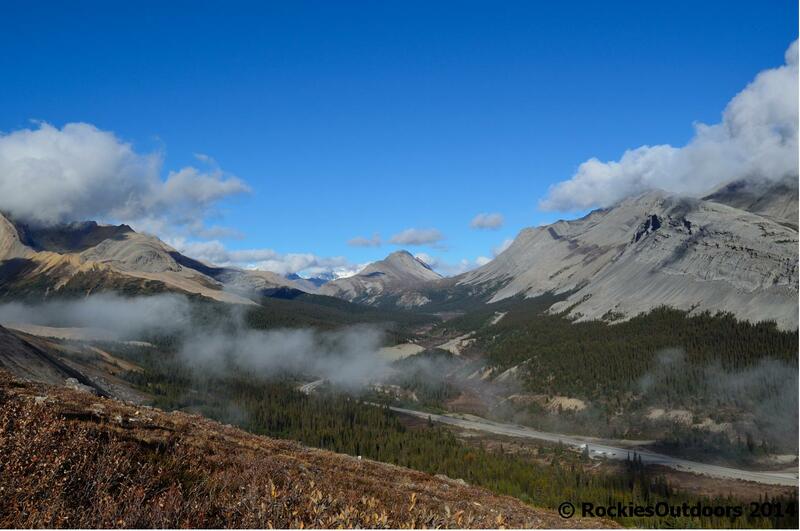 The trail starts at the edge of the parking lot, just off the side of the Icefields Parkway. It switchbacks through subalpine forest until you get into the alpine. When I did this hike it was pretty early in the morning and there was frost on the ground which made satisfying crunching sounds underfoot. The views from the hike are excellent. 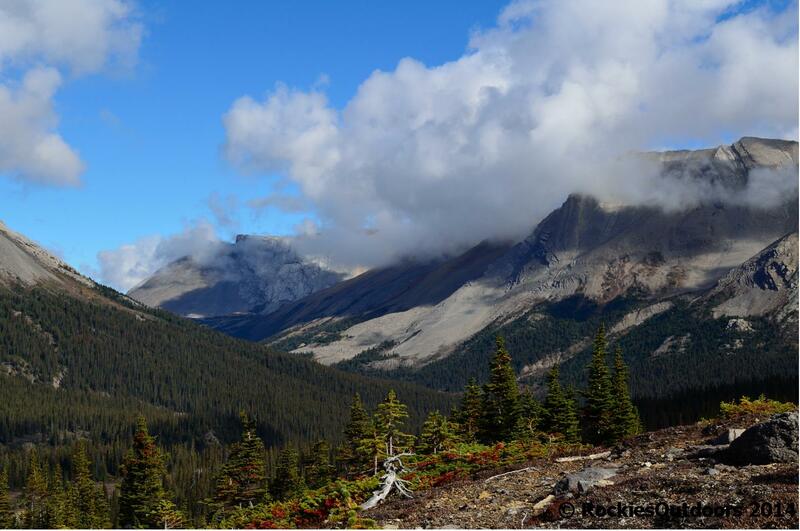 Even early on the views are pretty good as the trees are shorter than on other hikes as you’re already in the subalpine. When you’re out of the forest there are still a couple more swtichbacks before you get to the crest of the ridge. 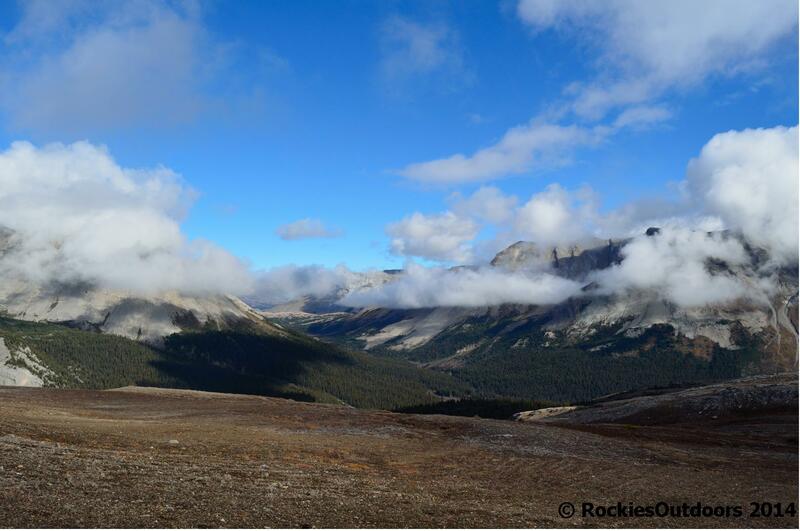 Be sure to follow the marked trail and don’t cut of switchbacks – the alpine ecosystem is fragile. 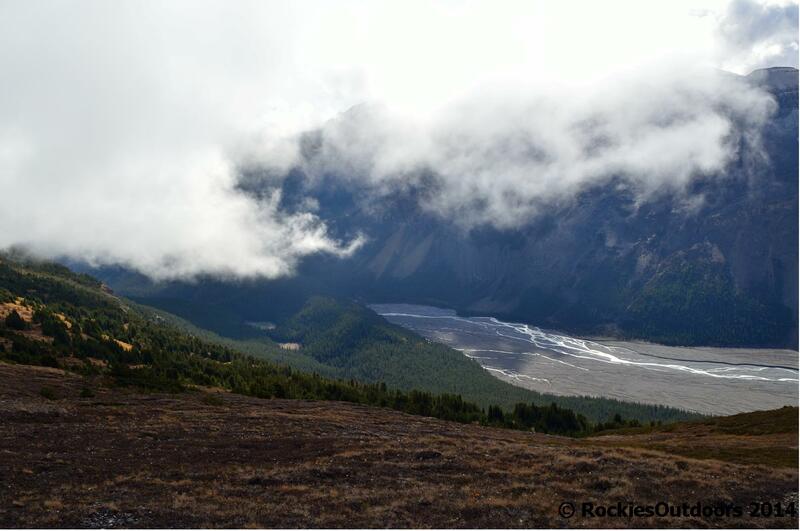 Once at the top of the trail, there is a fork which allows you to continue in either direction. 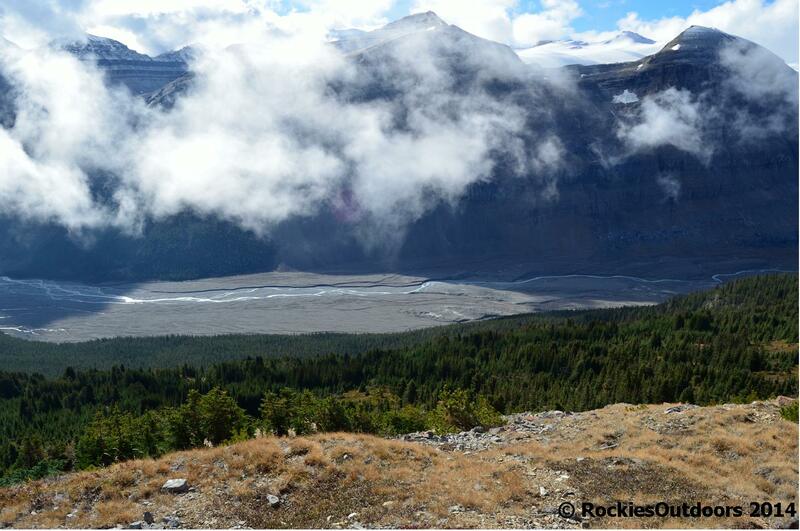 Either way the views are beautiful and you get a real appreciation for the size of the Saskatchewan Glacier. To return back to the trail head you follow the same route as on the way up. 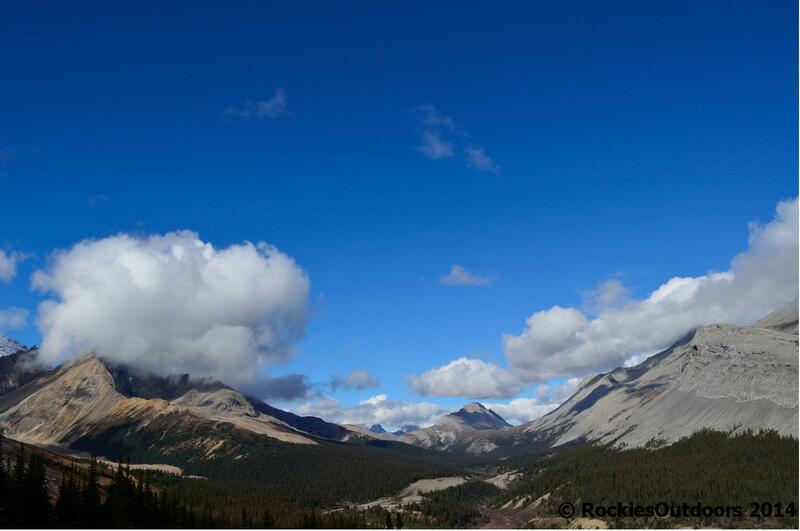 It’s a really great hike if you want to get out of your car and stretch your legs travelling Banff/Lake Louise and Jasper. 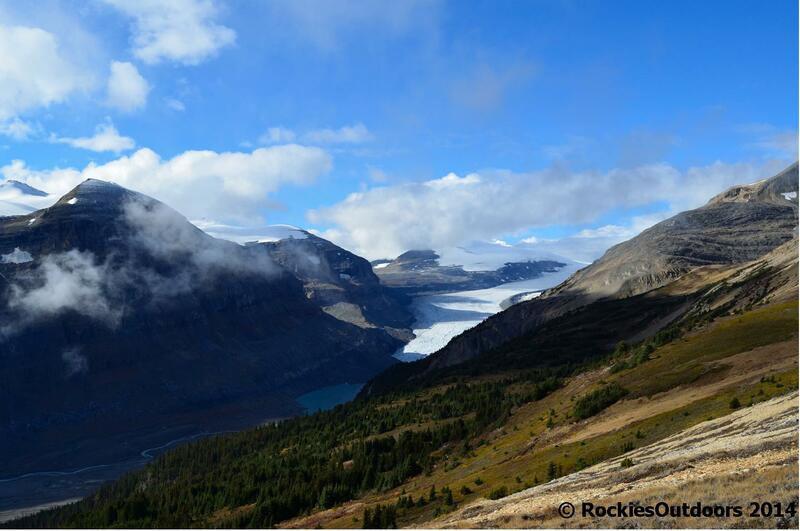 I think it’s a great way to get a different perspective on the glaciers, as you’re a way back from the glacier and can appreciate it’s sense of scale in the landscape. 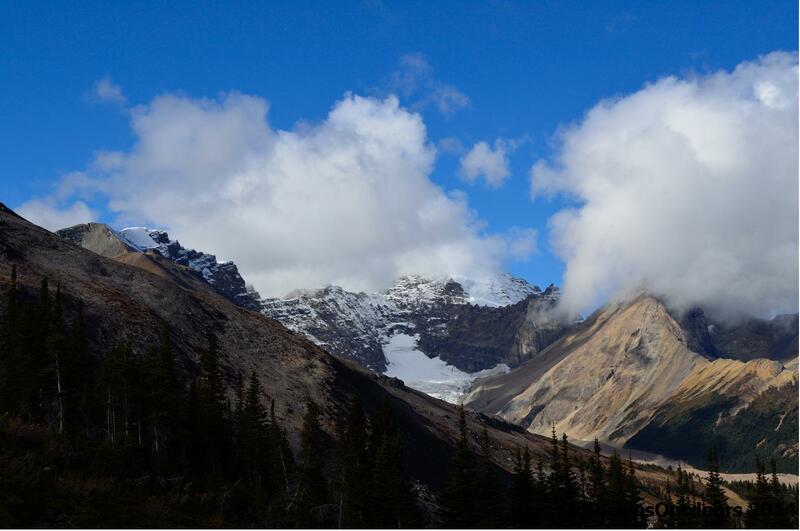 Overall the hike is approximately 5.5 kilometres (3.4 miles) in total, with an elevation gain of 250 metres (820 feet). I did this a couple of years ago with my two daughters. While enjoying the views from the top we noticed hundreds of tiny fossils. They were corral I think. If you ever get back up there have a look for them. This looks like great stop, thank you. Your photos are amazing. Spectacular photos! Will have to try this hike soon. I’ve seen amazing pictures from Inger (Girl gone expat) and drooling in front of my computer for such a long time now… We should make the move. But it’s difficult for us to plan for long holiday this year, because I’m moving abroad in June. But next year, for sure !